My heart is with all of you who have suffered as a result of the recent wildfires we’ve had in California. The degree of loss of property and life has been unfathomable. I know for many of you who have lost so much, thinking of your health at such a time isn’t on the top of your list. I completely understand. This blog is written for when you are ready to handle it. I want to address the health effects of such major disastrous event. For two weeks the air quality in Northern California was the worst in the world. With so many contaminants in the air, it can be hard for your body to keep up with natural detoxification. During these times, however, it is extremely important to take special care of your health. You can do this by supporting your body’s natural systems of cleansing, taking care of your lungs, and improving your body’s detoxification process. Some people have a natural ability to detox easier and don’t tend to be affected by external toxins and irritants. While others have a system that can become backed up and more easily overwhelmed by impurities in the environment. If you’re one of these people then you may feel under the weather for longer after events like the recent thick smoke in the air. Your head may hurt, your lungs may feel restricted and have a hard time breathing, you might even find that your digestion is disturbed. One great way to help support your body is to do another cleanse. There are a few different ways to cleanse, first and foremost I would suggest my Seasonal Reboot Fall Cleanse. It’s an easy two-week cleanse that doesn’t even require special dieting. You can take the supplement as a backup to support your body while you continue with your holiday festivities. 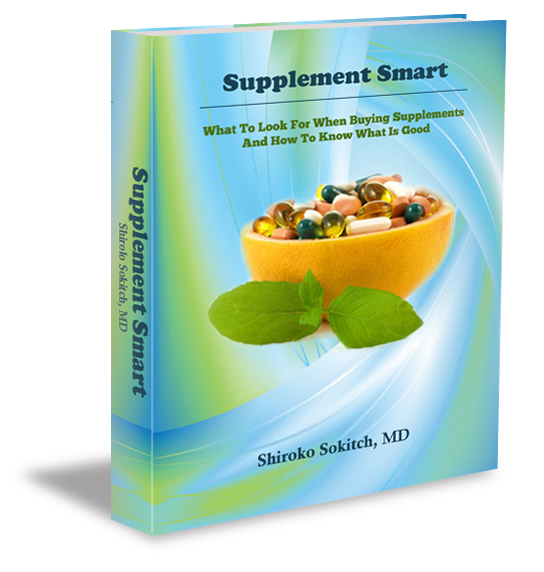 Another thing you can do is take a supplement called Glutathione, a powerful antioxidant. There are two main forms of Glutathione; a capsule form that’s great for traveling and a liquid form that is made by Apex Energetics. Using the liquid form when you can is suggested as it can be absorbed through your mouth, so you don’t have to rely on the digestive absorption. Glutathione helps support your liver in its detoxification. Every time your liver detoxifies one chemical, you use up one molecule of d-Glutathione. It also helps your lungs work better and helps them recover from trauma if you’ve had exposure to smoke or if you’ve been sick a lot. Vitamin C – will help your adrenals and detox. Host Defense – an organic medicinal mushroom formula to help your immune system. Alpha Lipoic Acid – supports your liver gently. N. Acetyl Cysteine – support Glutathione production. If you’re not up for taking a bunch of supplements, increase the amount of greens you eat, add cilantro to your diet, make yourself green drinks with lots of greens in them. Drink plenty of water. Stay away from dairy and gluten as they increase your body’s mucous production which can inhibit your lungs and intestinal healing. Even if you feel like you’re doing okay after exposure to toxins, it’s a good idea to take a little extra care of yourself right now, not only with all the exposure, but also with the holidays coming and increased holiday meals, foods your body might not be used to, stresses. Please remember to like my page on Facebook, Heart To Heart Medical Center and ask to join my Facebook group Heroic Healing. Also, you can buy my new book HEALING WHEN IT SEEMS IMPOSSIBLE: 7 KEYS TO DEFY THE ODDS on Amazon.